Get two powerful solutions in one. 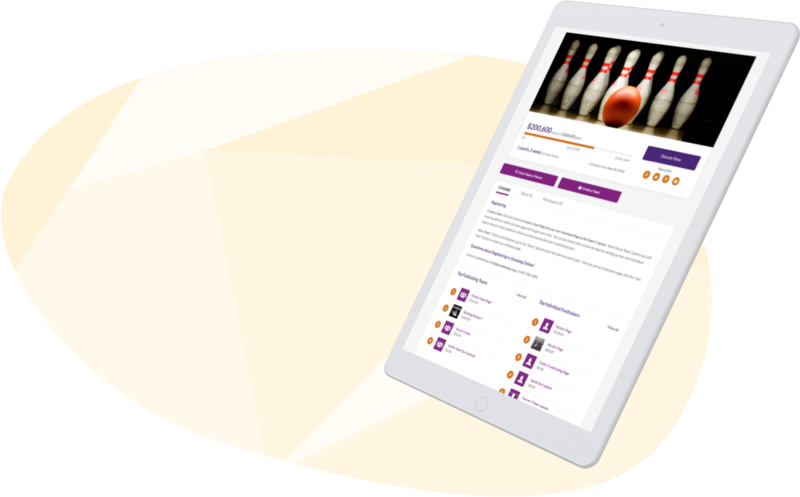 Host team-based charity walks, runs and “thons,” and enable third-parties to support your charity event through their own fundraising efforts. Third parties include everything from corporate partners to individuals hosting fundraising occasions, like birthdays, weddings and memorials. 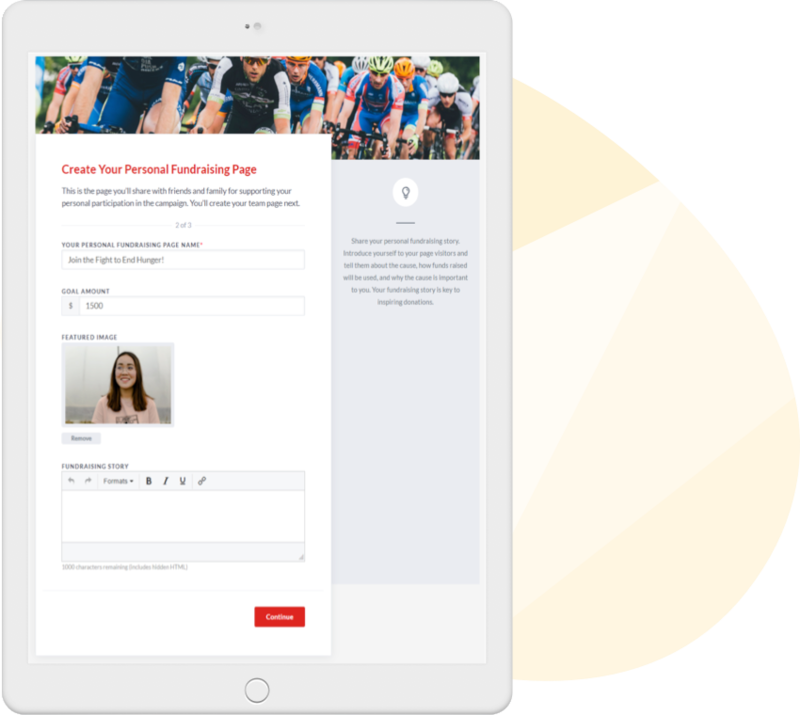 Make sign-up easier and quicker than ever to set your participants and your charity up for success. Add default page imagery, copy and fundraising goals to ensure every page is primed for results. Plus, add customizations to get all the information you need, like T-shirt sizes, agreements and event terms and conditions. Inspire fun competition, social sharing and donations. Unlock high-impact, mobile-friendly team and participant campaign pages that get results! 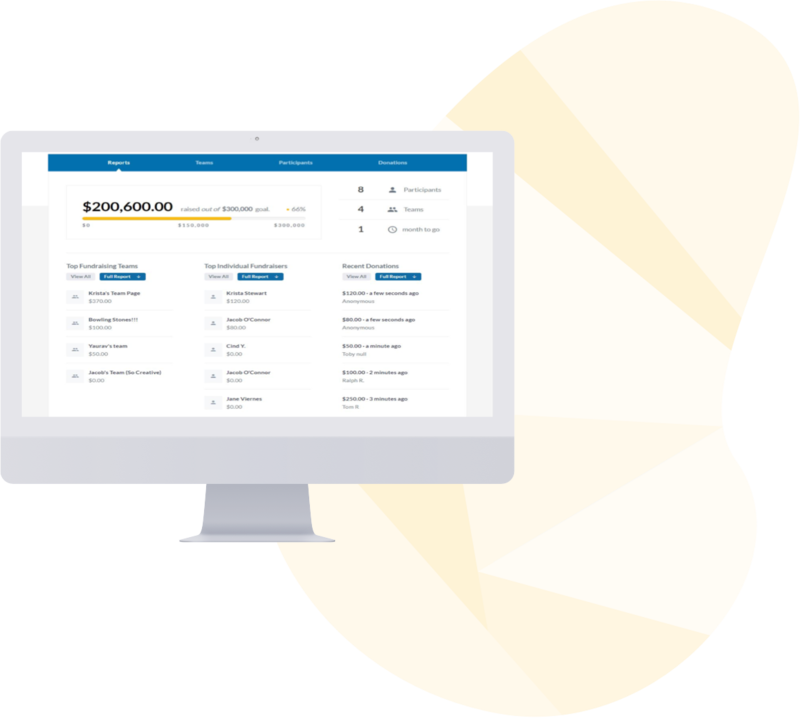 Leverage dynamic fundraising progress thermometers, supporters wall, top team and fundraiser lists, and integrated social sharing. Create a sense of urgency on every page to inspire participants and donors alike - all with your charity's brand front and centre. Fundraising tools at their fingertips. 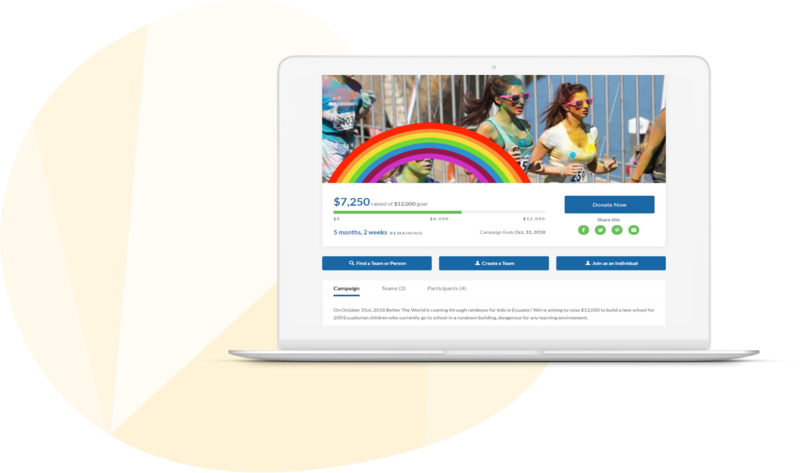 Provide participants with an account complete with powerful yet easy-to-use tools, including fundraising tips and social sharing options that make raising support from friends and family easy. Team Captains get even more, with tools to manage, coach and inspire their team. Plus, your charity can add event logistics information and ready-to-go videos and messages, keeping everyone organized and on brand. Run your campaign your way. Tailor the look and feel, customize who can register, control whether paid registration is required, and much more. And powerful options don't need to be complex: create your campaign in minutes with our simple campaign builder. Access insights to grow your results. 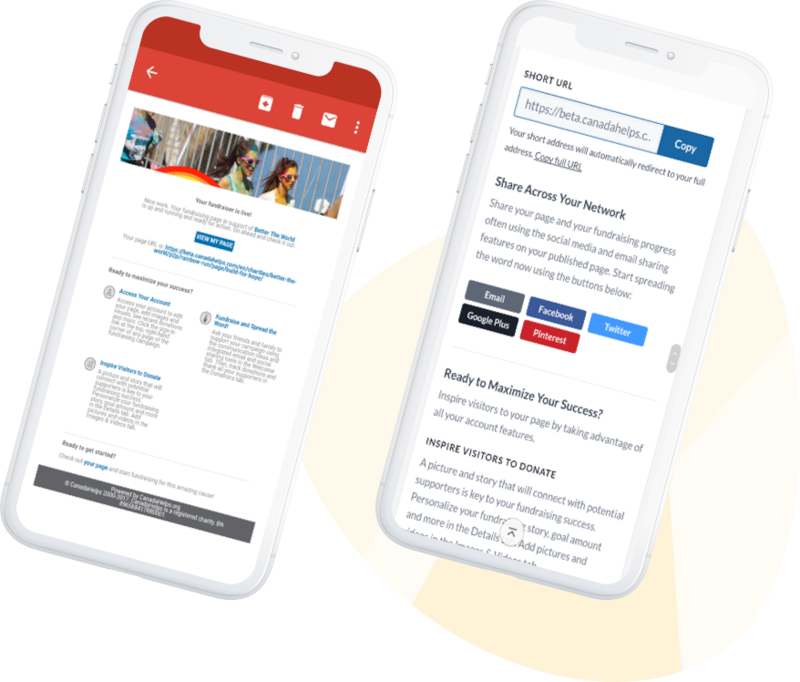 Leverage extensive team and participant management capabilities with built-in email tools, offline donation support, at-a-glance fundraising progress insights and real-time access to detailed reports. Just one low transaction fee of 4.9% applies. That’s it. Run team-based charity walks, runs and "thons"
Are you ready to benefit from the growing world of crowdfunding? Raise more funds, deepen your relationship with participants and acquire new donors. Launch your peer-to-peer social fundraising campaign in minutes.